Autolyse is a process in which a portion of (or total) water and flour in a bread formula are pre-blended and set to rest for a period of time. This resting period gives the dough special processing characteristics and improves the overall quality of the baked goods. The word autolyse means “dough breaking itself.” Autolyse should not be confused with bulk fermentation since both serve different purposes, despite some similarities regarding enzymatic activity. Although yeast may be added during autolyse (not common), fermentation is not the objective. 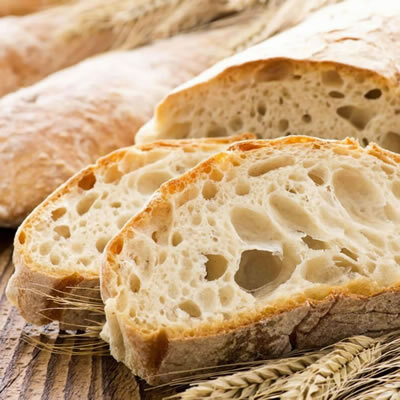 Addition of yeast to the dough undergoing autolysis depends on several factors including processing conditions, dough system and the type of yeast being used. Continued flour hydration. Water molecules work their way into damaged starch, intact starch granules and proteins. Protein bonds continue to develop as a consequence of the “water-rich” environment, creating more gluten strands in the absence of mechanical work. This leads to better gluten structure and gas retention. Finally, as a result, the dough feels less sticky and very smooth after the autolyse. Autolyse is a versatile process variation that suits the needs of different processes and bakery products. It can be used in the production of French bread, white pan bread, whole wheat bread, croissant dough and brioche. Autolyse is a great option when processing bread formulated with a high percentage of semolina or durum flour. These flours are very strong and contain more protein, so they absorb much more water, producing stiff doughs that require adjustments for optimum makeup. The shorter the dough mixing time (less mechanical development of gluten-forming proteins in needed). This means less energy consumption during mixing. The less tolerance to overmixing. Breakdown is more pronounced once peak (maximum strength) is attained. Autolyse equipment: mixing bowl, trough, bench. Product must be covered with plastic or exposed to special RH conditions to prevent drying. Stiff preferments such as sponges do not need to be autolyzed as they have already been hydrated and mellowed by yeast fermentation and enzyme activity. On the other hand, liquid preferments such as poolish, can be added to the mixture to be autolysed. This is because the high percentage of water in the pre-ferment is needed to properly hydrate the remaining flour and water at dough stage. Fermentation during autolyse (if a poolish is added) would not be a problem given its cold temperature and very low yeast levels. Suas, M. “The Baking Process and Dough Mixing.” Advanced Bread and Pastry. A Professional Approach, Delmar, Cengage Learning, 2009, pp. 51–74. Figoni, P. “Gluten.” How Baking Works, 3rd edition, John Wiley & Sons, Inc., 2011, pp. 136–148.